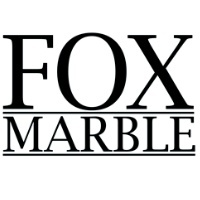 Fox Marble Holdings PLC (LON:FOX) Chief Executive Officer Chris Gilbert caught up with DirectorsTalk for an exclusive interview to discuss their latest operational update. Q1: We note the operating update that you’ve published earlier, can you just talk us through the highlights? A1: Principally, what we are saying is despite our lower than expected sales growth last year, towards the end of the year we were able to achieve a greater production output than we had earlier in the year. This represents the start of a phase of our company where we are driven by demand rather than supply so we’re now in a place where have penetrated enough markets around the world where the demand for our product exceeds our ability to supply. I’m talking about these block marble from the quarries so we’re talking about these big 20-tonne blocks that we sell in containers and ship all around the world. The current position is that the demand outstrips supply so what we’ve done is we’ve raised the money that we announced this morning specifically in order to further equip the quarries so that we can significantly expand the production that get from these quarries and meet the demand that we have confirmed orders for. That’s the principal takeaway of this update, that we are now a company that have multiple customers in multiple jurisdictions with reoccurring sales every month. We have a group of customers and no one customer is worth more than 35% of our total waterfront of customers and order book. So, we’re in a very stable position from the point of view of these group of customers who come every month and take these marble blocks away and pay us on the nail for it, so we don’t have any terms issues with receiving the money. This is going to form the core of our sales activity running through 2019 and I think this is probably the first time that we can legitimately say ‘this is where we are as a business and we have developed to this stage’. For us, this is a very exciting and obviously it’s a significant development in the rate of progress of Fox Marble Holdings. Q2: As you mentioned, you have issued some new shares, how exactly are the proceeds going to be used? A2: We are allocating all of the money that we have raised to equipping the quarries with the big expensive capital equipment that it takes to move these great big 20-tonne blocks of marble around so excavators, wheel loaders, chainsaws, diamond wire saws, in one quarry we have a capacity to increase power so we’re looking for a generator to provide that. So, this is all core capital equipment which we’ll locate in the quarries as soon as we’ve gone through our procurement and purchase process and we expect to have all of this in the quarries by the time the quarries get back to work after winter shutdown. At the moment, it’s -20 degrees in Kosovo and it’s under 10 foot of snow so of course there’s nothing going on, but this is usual in the expected winter shutdown that we have every year. Come sometime in March, again it’s weather-dependent, we’ll be fully equipped and ready to go and meet the demand that we’ve created. Q3: Having offices in Dubai and Mumbai seems to add brand awareness and increases exposure, are there any plans to open other offices around Europe to showcase the different materials that you have? 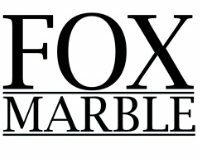 A3: We will be opening other sites for Fox Marble around the world in time, we don’t have any current specific plan to open a specific office on a given date. It’s taken us 12 months to establish our presence in Dubai and Mumbai and actually physically locally and we’re starting to see the results of that so, as you say, brand awareness is a big issue, we’ve landed in the region, there’s a Fox Marble there. More to the point, it makes us able to be very close to our customer base in both regions and the Dubai office services all of the GCC region as well as oddly enough, African customers who go there for their marble. We have completed two large orders and the GCC region is a processed marble region, we don’t send blocks to that part of the world, we send much higher margin slabs, tiles and various other individual processed material, all of which our factory is now capable of doing. Q4: Things seem to be ramping up nicely for Fox Marble Holdings but what should investors expect in terms of news flow over the coming months? A4: What we will be doing is we’ll be doing two things. We will be announcing further significant sales now that we’ve got the ability to meet the demand that we’re generating in various part of the world. The other thing we’ll be doing is we’ll be confirming this core base of customers that are taking this material on a monthly basis. So, on a quarterly basis, we would expect to be saying we announced that we would be increasing capacity in the quarries and we would expect to be saying that the capacity has increased to X number of tonnes and this material we have sold to the various customers around the world. Our customers that comes back to us on a monthly reoccurring basis are customers from Italy, from China, from India and from Turkey so we’re quite widely spread so we think we’ve got a bit of a hedge, bit of a protection against one part of the world slowly down just economically slowing down and the other half just picking up. The other point that we make in the announcement is that the disruption and confusion that Brexit is causing at the moment, we are, we hope, largely insulated from. primarily because our customers are outside of EC. We’re shipping to parts of the world where, from our trading company in Kosovo, we’re a little insulated from what’s going on here.